Who’s Caring for BC’s Home Care Workers? As province takes over service delivery, long-time worker fears job problems will persist. ‘People can’t live on two or three hours of paid work a day,’ says Deborah Diduck, who’s worked in the home care sector for two decades. She’s tired of the insecurity. Photo by Jake Sherman for The Tyee. Big changes are coming to the way home support services are delivered in British Columbia, but a woman who has worked in the sector for two decades says they won’t solve serious problems hurting employees and clients. When The Tyee’s Katie Hyslop won a major honour, here’s how she used the platform it provided. What’s really needed are stronger laws to protect workers, said Deborah Diduck, who at 64 is approaching retirement age. A low point for Diduck was getting called into work for a 90-minute shift on Boxing Day. It was typical of the company she worked for at the time, she said. “I’ve been lucky to get one-hour or two-hour work days out of the company,” she said. “If you don’t take the work, then you might not get any more work. You’re stuck between a rock and a hard place.” Diduck said her pay rate has ranged from $14 to $22. Diduck began doing home support work in 1996 on the Sunshine Coast. She has been in Victoria since 2013, where she worked several years for We Care, which is now a franchise of CBI Home Health. Most recently she has worked for Beacon Community Services. 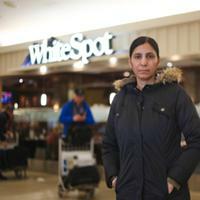 While with We Care she was represented by the Christian Labour Association of Canada, which she found did little to standup for workers and in fact negotiated contract terms that she said made the job more difficult. Beacon has been better than other employers in the sector, she said. In the 1990s employment standards laws required that workers be paid for at least four hours every time they were called in to work. After 2001, the BC Liberal government reduced the minimum pay to two hours. Diduck’s own health suffered. Her pre-diabetic condition became full-blown Type 2 diabetes, a development she blames on not being able to have a lunch break many days. She had a heart attack. “They severely compromised my health,” she said. She described homes with shelves that never got dusted and with room edges that never got vacuumed. 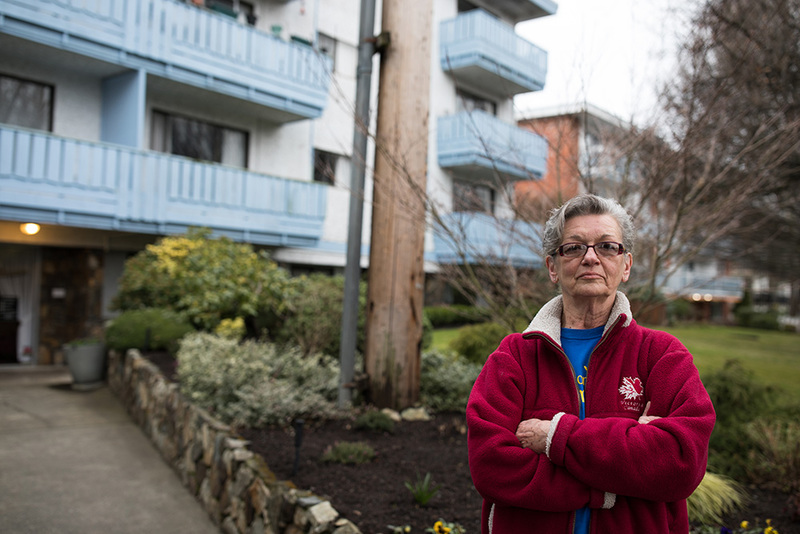 “I’ve walked into apartments that were so filthy, and it was basically 22 years of legislated filth,” she said. The time that a worker can spend in a client’s home is dictated by whoever is providing the funding, said Twyla Johnson, the director of operations in Victoria and Duncan for CBI Home Health, which was previously We Care. Besides working for private clients, the company has been under contract to various public agencies, including WorkSafeBC, ICBC and the Public Guardian and Trustee. It has also done overflow work for Island Health. Johnson said that many of the company’s registered care aides now end up working overtime, but that there have definitely been times where it was hard to give workers enough hours. On Wednesday three health authorities — Vancouver Coastal Health, Fraser Health and Island Health — announced they would take over delivering home support services that had been contracted out for years. The change will bring them in line with Northern Health and Interior Health. The BC Care Providers Association, an organization that represents companies working in the sector, said it wasn’t consulted on the change and expressed “deep disappointment” with the decision. CEO Daniel Fontaine said the change wouldn’t provide the increased services and longer visit times that seniors want. The BC Liberal opposition put out a press release saying the government is “reducing choice and driving up costs for seniors by moving private home support services into health authorities.” It accused the government of catering to the unions that had donated to the NDP. Diduck said she’s not convinced the change will make a difference. The directives on scheduling were already coming from Island Health, she said. Improving employment standards would have the added benefit of improving conditions for all workers, not just in one sector, she added. Health Minister Adrian Dix said having the health authorities deliver home support directly makes sense for several reasons. Unionization didn’t factor in the decision, he said, noting the workers are unionized now and will remain unionized after the change. Dix said the change would let health authorities improve scheduling and provide more stable hours for staff and seniors, making it easier to recruit employees. 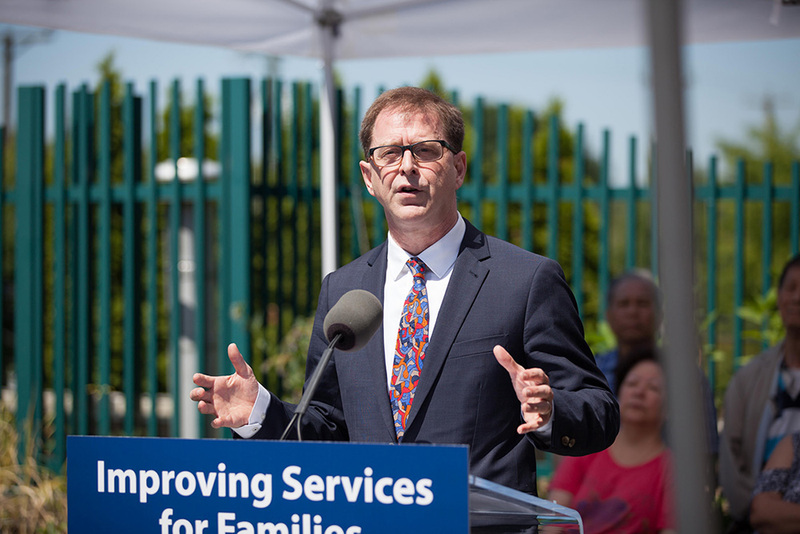 Health Minister Adrian Dix says regardless of who manages the province’s home care health system, ‘the goal is to make it better.’ Photo: BC Government Flickr. The existing contracts were coming up for renewal at the end of June for Island Health and a year from now for Fraser Health and Vancouver Coastal Health. While Beacon Community Services has been very good, there were a wide variety of contractors in the other two health authorities, he said. “There were some issues with the way the contracts had been managed over time... that were certainly brought to my attention,” he said. Services were reviewed in each health authority and the recommendation was the same in all three. Home support is essential for seniors and closely connected to the improvements the government is making to primary care, Dix said. The decision will directly affect the care that some 29,000 people receive and will be supported through an agreement with the federal government that’s going to be formally announced soon, Dix said. The move may add some costs, but there will also be efficiencies, so there’s unlikely to be a big difference in cost to the government, he said. “This is for the clients. They’re my biggest priority. They rely on the service. They are often frail or elderly seniors. They need the service. They need it to be part of a continuity of care, and it makes sense for the health authority to do it,” Dix said. The change will be good for workers in the sector as well, he said. Dix acknowledged that bringing the services in-house wouldn’t on its own fix home support. People like Diduck who are providing the service know that “if nothing changes but who the management is, then nothing will change,” Dix said. Those changes may be coming within months. The labour ministry launched a month-long consultation on Feb. 28 seeking comments on improving the employment standards law. “To reflect modern workplaces and to ensure that employment standards are evenly applied and enforced, the Ministry of Labour intends to make changes to the act as early as this spring,” the announcement said.